Do you want to analyze the web traffic of your website? Do you want to have details about the visitors to your website? Well, ‘Google Analytics’ helps you collect and analyze all the information regarding users, how they reached to your website, what they did, and what action they have taken. Yes! The tool, Google Analytics, helps you determine the website insights, which will be highly valuable to your business’s commercial success. Let us see how the tool helps your business achieve desired results. In an online business, it is very essential to optimize the marketing campaigns of a business. However, taking steps in the wrong direction can actually lead you to poor performance. That being said, you must be sure about what steps you are taking in the process, and this is where Google Analytics is used. The use of the tool will help you realize the current situation of your website and you can determine the right activities implementing which will give you effective results. As the tool helps you determine the way users use your website, you can get to know the areas that are not satisfying the clients completely. Yes! The in-depth content analysis will allow you to determine the type of content being appreciated by the visitors. The use of Google Analytics will provide you with behavior and conversions reports which will help you analyze the website and content usability. The reports will make you understand the areas of concern and you can thus work on those areas to enhance the usability of your website. Though you must be having an idea about your target customers, obtaining the Audience reports through Google Analytics will help you know if the perception applied by you is correct or not. Going through these reports will help you understand your target audience in a better way. Obviously, knowing the age, gender, user location, and interests of the users would help you implement your ads and campaigns in a more efficient way. The reports of Google Analytics will let you know the effective areas which will thus give you a clear idea of where to invest your budget further. 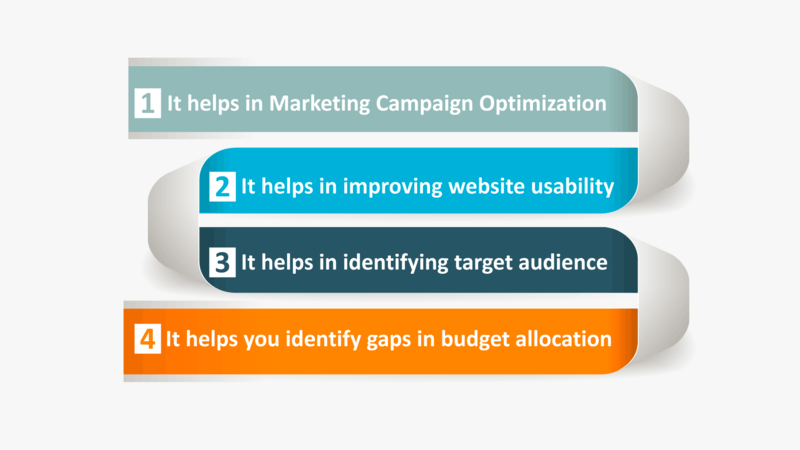 The process will allow you to measure the return on investment of different digital marketing campaigns aspects which ensures the investment in the elements that tend to provide the best return on investment in the future. So, using Google Analytics will help you gauge the users’ behavior considering which you can incorporate a change in your process in order to draw the attention of more and more visitors. If you have been looking for a best digital marketing company that can provide you with this unique service, Mamsys is the solution! Experts, at Mamsys, put great efforts in generating effective Google Analytics reports for your business.